The horrific trade war has escalated. The Trump administration on Tuesday set in motion stiff tariffs on some $50 billion in Chinese imports across 1,300 categories of products, unveiling the most aggressive challenge in decades to Beijing’s trade practices, reports the Wall Street Journal. 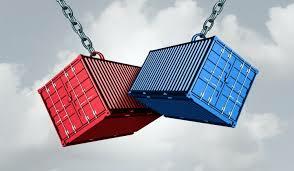 The imports targeted for 25% levies range from high value-added goods such as medicines and medical equipment to intermediate goods like machine tools and chemicals, according to a release by the U.S. Trade Representative. The list also includes some consumer goods such as dishwashers, televisions and automobile parts. None of the tariffs goes into effect immediately—and may never be imposed if the two sides eventually agree on a deal to open China further to U.S. imports. Instead, U.S. companies have until May 22 to raise objections; a public hearing on the issue is scheduled for May 15 in Washington. China retaliated swiftly to the Trump administration’s latest proposed penalties on Chinese goods, announcing 25% tariffs on critical American exports, including soybeans, airplanes and autos, according to WSJ. The Chinese government didn’t specify when its penalties would be imposed. A Finance Ministry statement said that authorities are watching how the U.S. implements its proposed trade actions. “Those who attempt to make China surrender through pressure or intimidation have never succeeded before, and will not succeed now,” Foreign Ministry spokesman Geng Shuang told reporters. Meanwhile, the scene is set for the economies of both countries to shrink as a result of these dueling tariffs and sets economic policy back to the mercantilist era before comparative advantage was understood. I know, the tariff revenues will PAY FOR THE WALL!!! 4D Chess!! Yep. We’re banned from trading with foreigners AND we’re banned from hiring them. It’s a win-win. "But when other countries lose, 'Murica wins! Zero-sum Game, baby!" Big opening move to be followed by a negotiated settlement. It's in Art of the Deal. And it will save US jobs.